A seed starting tray is a small container where you put garden soil or other materials used to germinate seeds so you can give plants proper care until it they are ready to be moved to the ground or a larger pot. .
Because these trays are not big, it is easy to control their environment to help plants grow with the best conditions (watering, temperature, light, etc.). 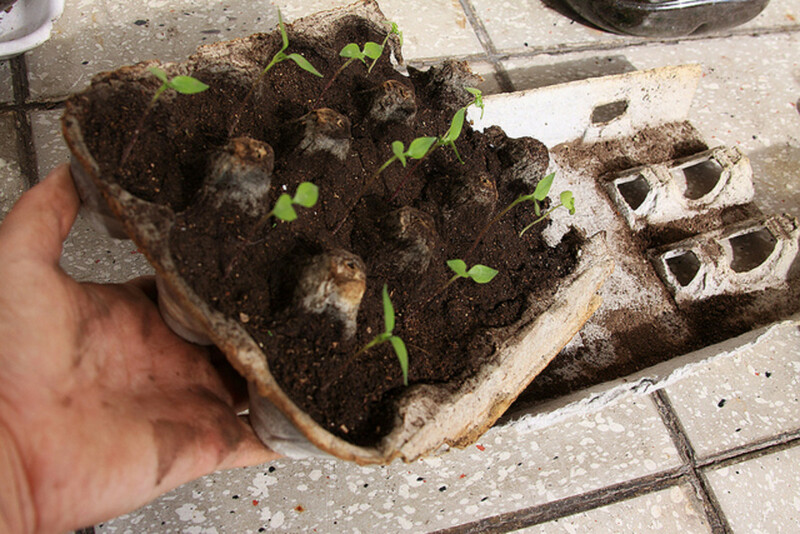 In geographic areas where winters are so cold that young plants cannot survive, you can start your seeds inside your house or other protected areas and be ready to transplant quite a few seedlings when the weather permits, instead of just starting everything from scratch. There are several ways and materials you can use to make you own seed starting trays, but my favorite is the cardboard egg box. Cut the cover lid and place it in the bottom for support. Remember that you will be watering and cardboard softens with water. Some gardeners suggest making a little hole at the bottom of each egg compartment for draining. I don’t because puncturing the cardboard can make the bottom less resistant. When I water the tray, I am careful not to overdo. Fill each compartment with soil. I use a strainer to ensure that the soil is twig- and rock-free and that it will be uniform and compact. Also do not press the soil with your fingers or any other way. Water the tray. Do it slowly and/or by phases. 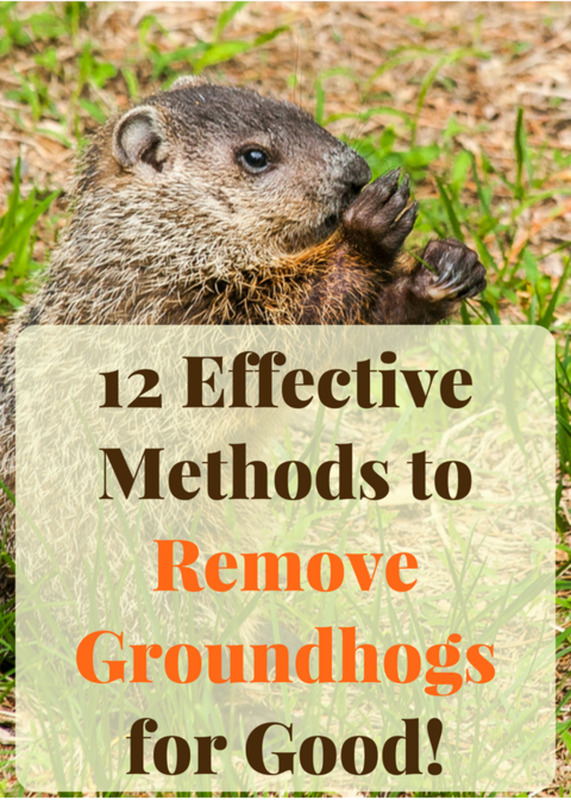 Use only the just amount of water needed to get the soil moist. The first time you pour water, the earth may splatter, or water may linger on its surface without getting absorbed right away. As the soil absorbs more water, the earth will do a better job of filtering and absorption will be faster. These seed starting trays may be very cozy for critters who may also eat your seedlings if you let them stay. I dealed with a cockroach, and when I was transplanting I almost cut off the tail of an amazing blue-eyed brown-skinned gecko! I wish I could show you an image, but both lizard (unharmed) and Hubber were too shocked for pictures! Make little holes with your finger or a stick, as deep as necessary. 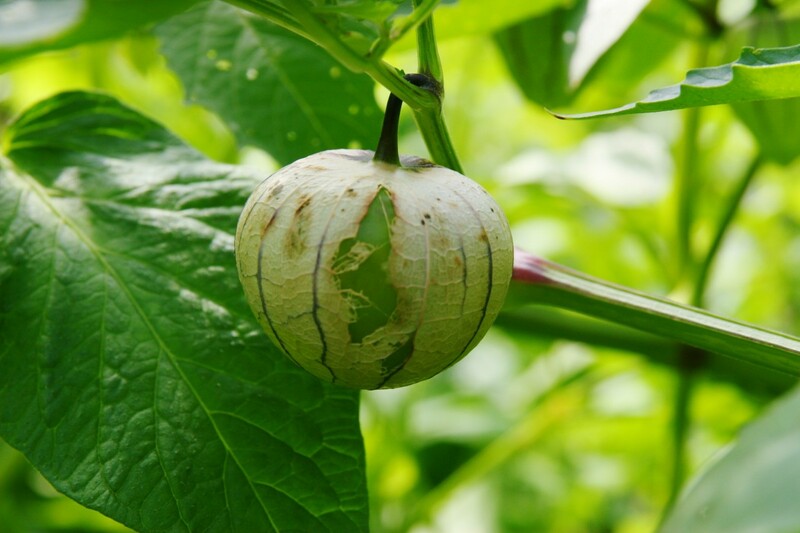 Place the seeds in the holes and cover them with earth. Do not press, just cover. Water again slightly, until the earth is moist. 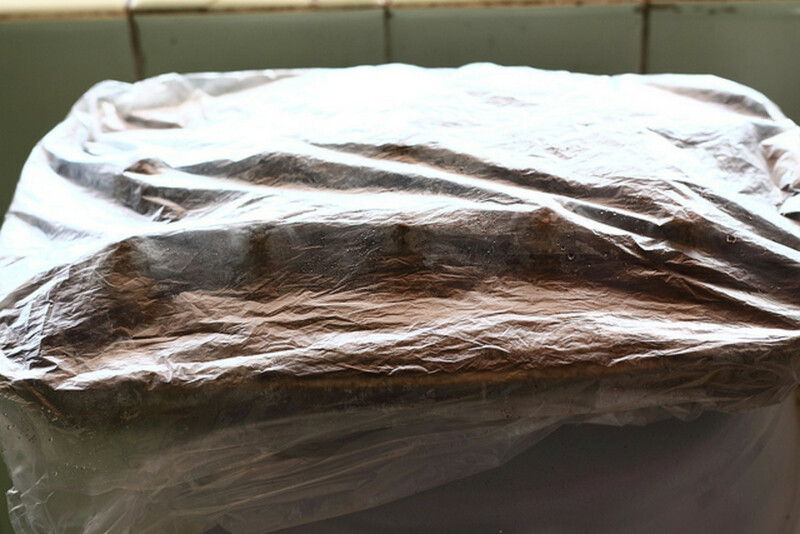 Cover the cardboard tray with a transparent plastic bag to keep nice temperature and humidity. Use transparent plastic so you can see what's going on and to let light in. 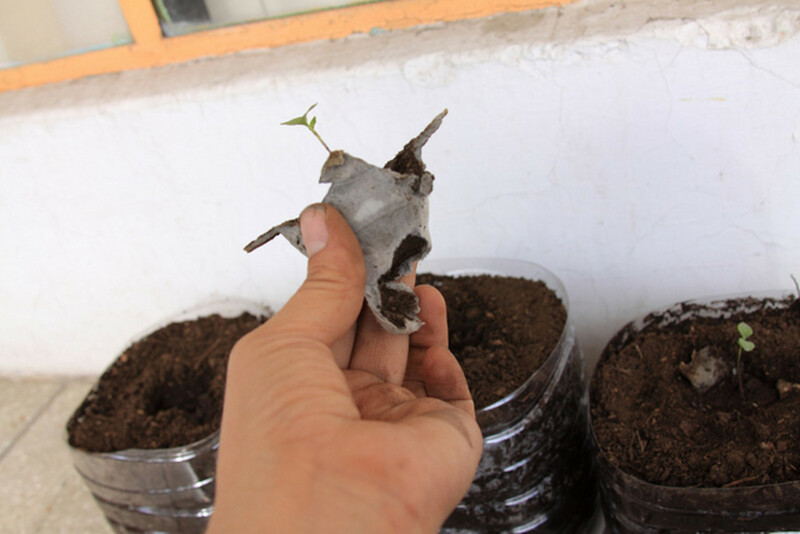 Note that using a plastic bag may not be necessary or can be even counterproductive in some climates – test it and see how the seeds germinate better. 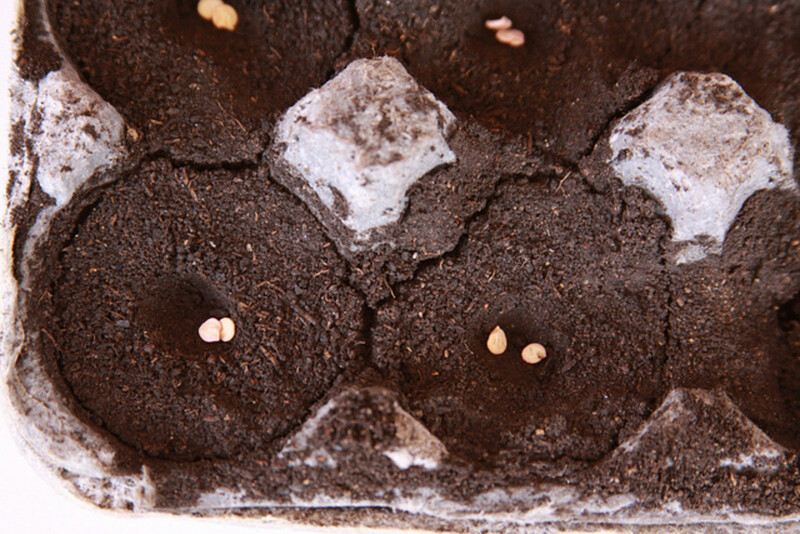 Place the seed starting tray on a ventilated and warm area. The top of the fridge is an all-time favorite, but be careful to chose a place where you are not likely to forget watering the tray. Once or twice a day, remove the plastic bag and let the tray breathe for a while. Water the seeds carefully every day. Use a glass to slowly pour water, or open the faucet and adjust it to a very limited flow before putting the seed tray beneath. If the jet of water is too strong, it can throw out the seeds (and spread dirt all over the place). Each plant germinates according its own characteristics and specific conditions of its environment.So far, everything I have sown has germinated between 2 to 7 days. If you notice several water drops inside the plastic bag (transpiration), it is due to overwatering or very warm and wet climate and you should adjust the water supply or even discard the use of the plastic bag. 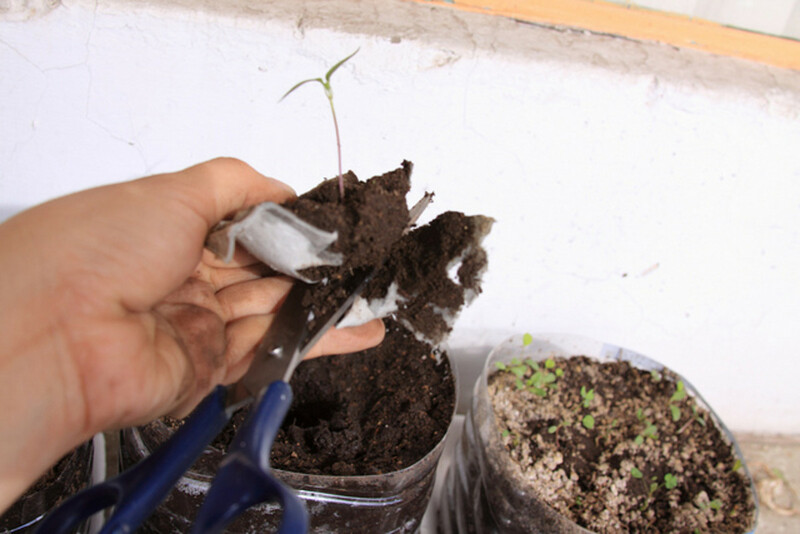 As soon as your seedlings emerge, don't use the plastic bag anymore and continue watering every day, until they are strong enough to transplant them to the ground or a larger pot. Your seedlings must have at least two sets of leaves before transplant. What I love about these seed starting trays is the ease to transplant the plants. 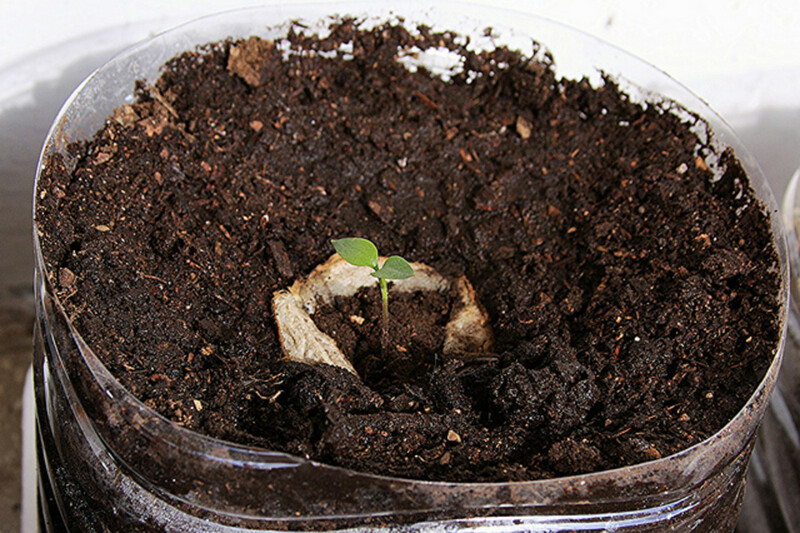 Make a hole a little deeper and wide enough to put the seedling roots inside. When you set the plant, it should have enough space to fit its roots comfortably and it should be set deeper than it is in the tray. Use scissors to cut each egg carton compartment. 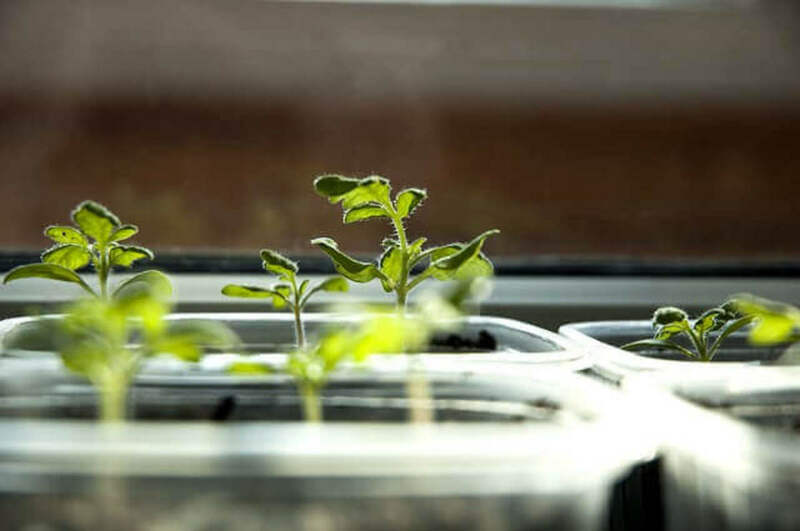 You do not have to transplant all your seedlings at the same time and you can use the same seed starting tray to sow several type of plants, especially if you set them in germination order. 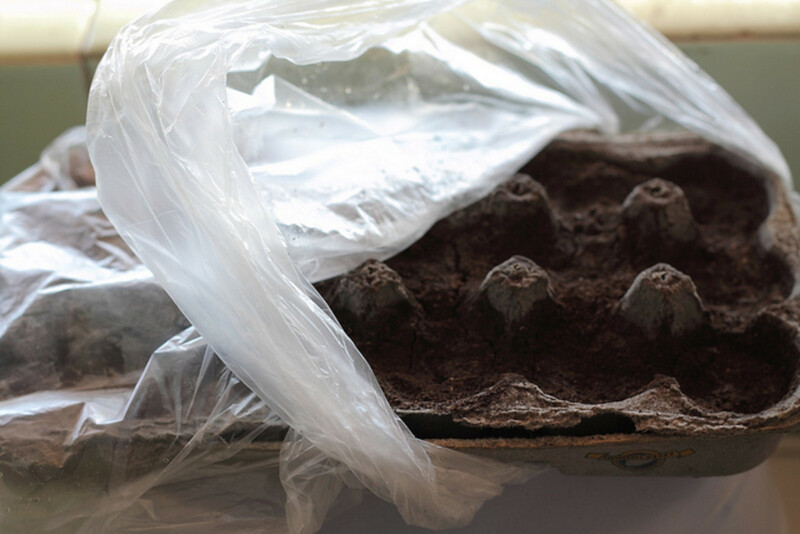 You can transplant the complete tray carton base to the soil (watering would end incorporating the cardboard to the soil), but I thought I should help the roots a little by removing the bottom and it is really easy to do when the cardboard is wet. I also removed the whole thing from other seedlings (I wanted to test both approaches). An advantage of using strained soil is that it becomes evenly compacted around the roots with each watering and it is very easy to cut or peel wet cardboard get a nice root ball. Plants free from cardboard grew faster. You can see in the big picture below the difference in sizes. When I realized this, I removed the cardboard from the little one and replanted. However, all plants were healthy. Maybe if I had left the small one alone, it would eventually grew as big as the others, only slower. After using a seed starting tray for the first time, I thought it may not be necessary at all because I live in a nice, warm place. 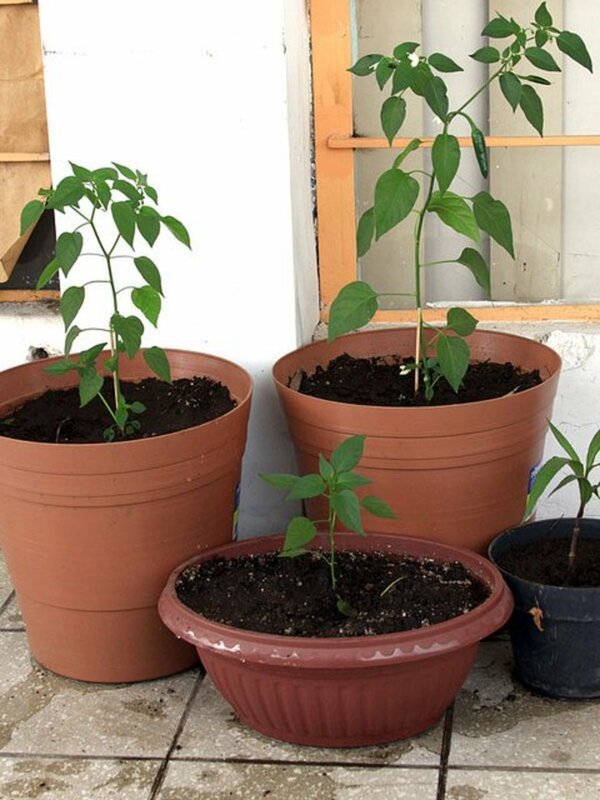 So, in my next gardening project I sowed more seeds directly in pots. The seeds germinated but not as fast (being the same plant). 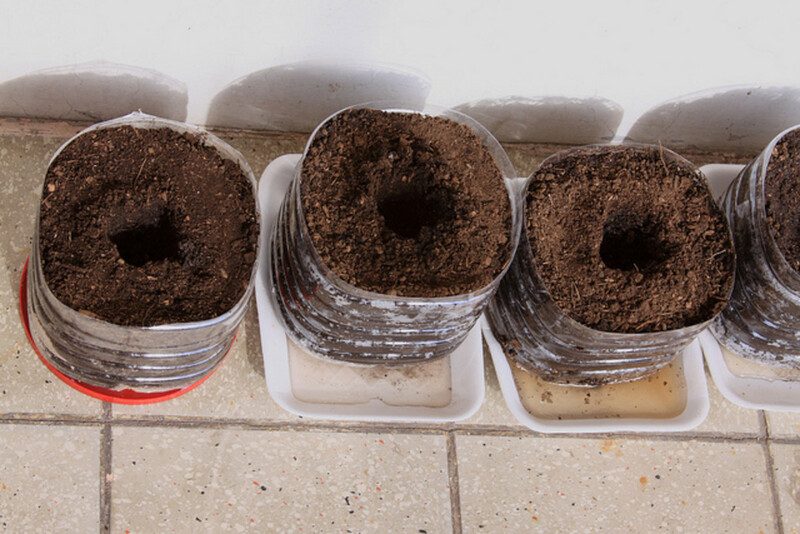 The explanation is that when you water a pot, the water eventually drains to the bottom, and since your seeds are in the top, you will have to use a lot of water every day to keep the earth around them moist. A lot of water is wasted! 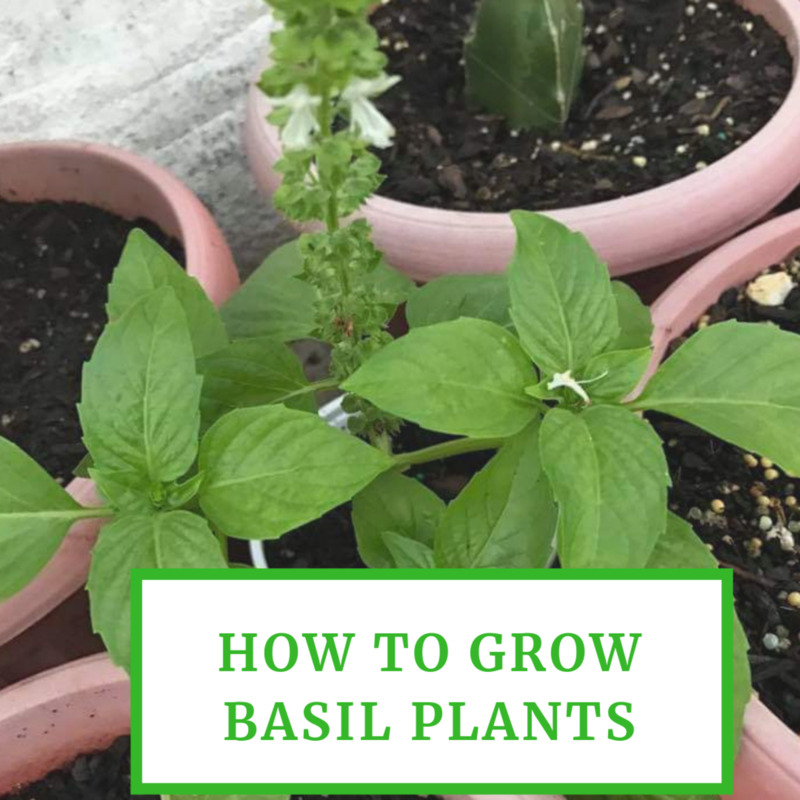 It’s also easier and faster to water several seedlings in small trays that are close together, than seedlings in different pots that require abundant but careful watering. That is another good reason to use these trays. There are several commercial brands that sell starting trays and containers, but using cardboard egg boxes is a nice and easy way to save some money and reuse something instead of throwing it away. Also, keep in mind that everything I applied here may be done in several other ways. Feel free to experiment and share your results. You are welcome. It is very easy to do, and it won't take space. I usually give away half of what I plant because all plants germinate (and I always put extra seeds just in case). You are welcome. I'm glad you found it useful. Great idea! I love this and have already started my garden this year and bought a couple of tomato and pepper plants. 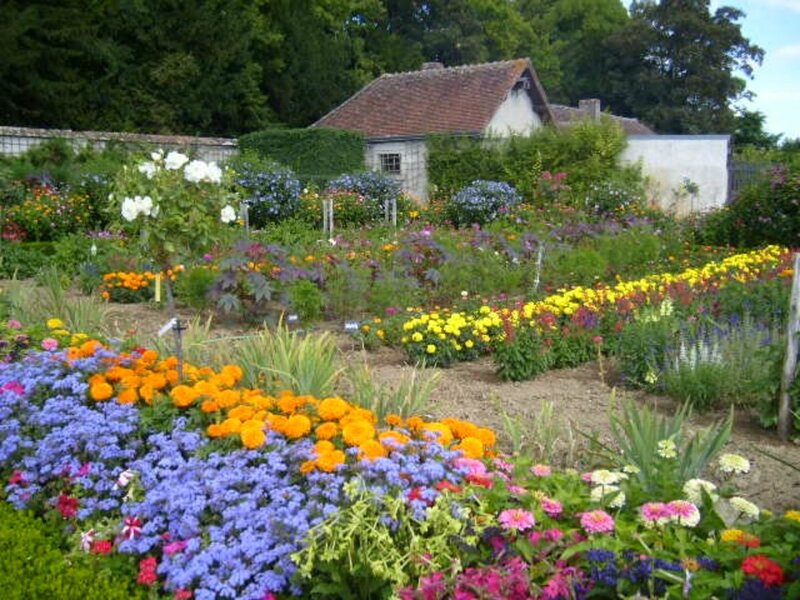 Everything else is from seeds but I will have to try this next year so I don't have to buy any plants. Thanks for sharing! That is a wonderful idea. At least now I know I have one more item to re-cycle it. Thanks for sharing it. Thank you all for the good comments. entreri28 , I think a month is a long time and they must have sprouted by now, but check the germination time of each plant to make sure. It's possible that they sprout sometime in the future, but I would try again instead of waiting. If I remember correctly, both peppers and tomatoes must be close to the surface, no more than 5 mm into the ground (check the recommendations on the seed bags or in the internet). Tomatoes took longer to germinate than peppers (although I never sown habaneros), but I remember I had all my seedlings in a week and a half. I don't know about onions though, haven't try them. A very novel and great concept. It is amazing to see how far a human mind can go and make things happen. I am using egg cartons this year for tomato seedlings. This is very helpful. Thanks, and so glad for your HOTD. Way to go! All votes up! I used an egg carton and I planted some seeds over a month ago and nothing has sprouted. I planted a variety of tomatoes, habanero peppers and barletta onions. I never covered it with a bag. Is it possible they were just planted too deep in the cartons? Do you think there is a chance they will still sprout or should I just give up on them at this point? Would covering it with a bag make any difference at this point? The best way to get seeds started. 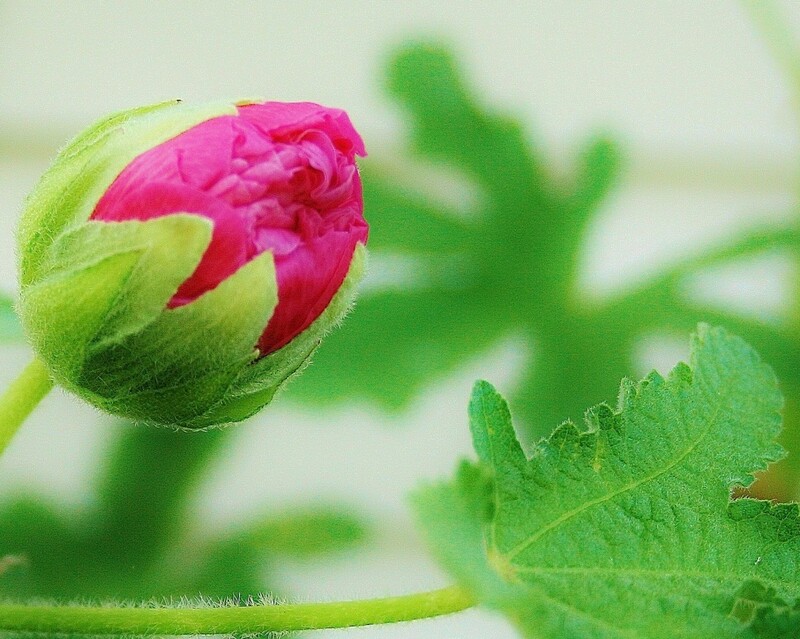 The springtime is always a special time of the year, enjoyed reading through this helpful hub. Great idea on how to use those egg cartons. I have used the plastic ones due to they are their own little green house. Very informative hub and great idea. I'll show this hub to my father. He loves gardening as well. Thanks for writing and sharing with us. Voted up! Wow, a very interesting hub with a wonderful idea. Thank you for sharing this with us. Voted up and sharing! Nice tutorial with great pics. Congrats on HOTD! You are very welcome. Have fun! Thanks! Well it wasn't so shocking to see it there, but the fact that if it hadn't move the second it did, he would have lost its tail because I was cutting the cardboard container and it was really tiny. That was scary. I really like geckos! I'm very happy you find this hub useful. It does work really easy. And if it doesn't work the first time you will always have more egg containers to try again later. I remember doing this with my mom as a little kid, it worked pretty well and it's obviously way cheaper than buying those peat starter cups. Great hub! This is a fantastic hub and learning experience. 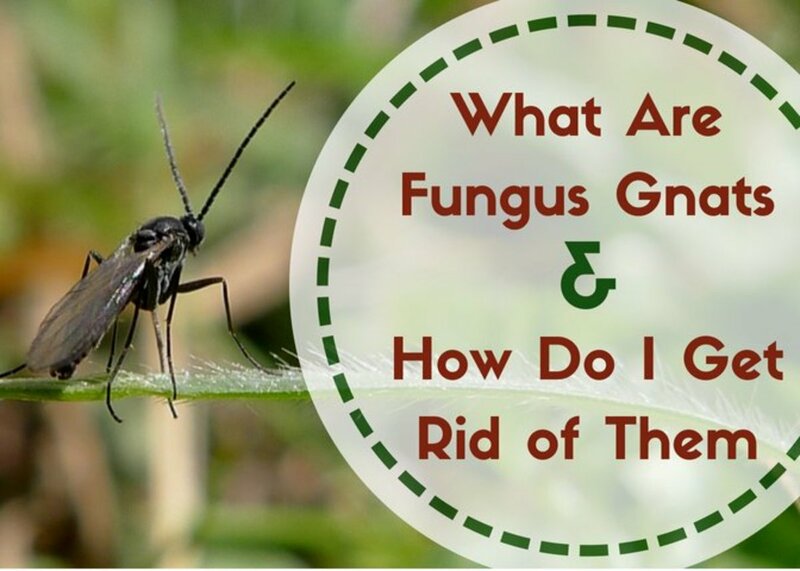 Love all the great tips and information. I am definitely planning on trying this. Voted up and shared. Congrats on your Hub...great idea! Awesome! I have several cardboard egg cartons saved, so I will definitely take your advice to get some seedlings started. Thanks so much for this! Congrats on HOTD, it was most certainly deserved! 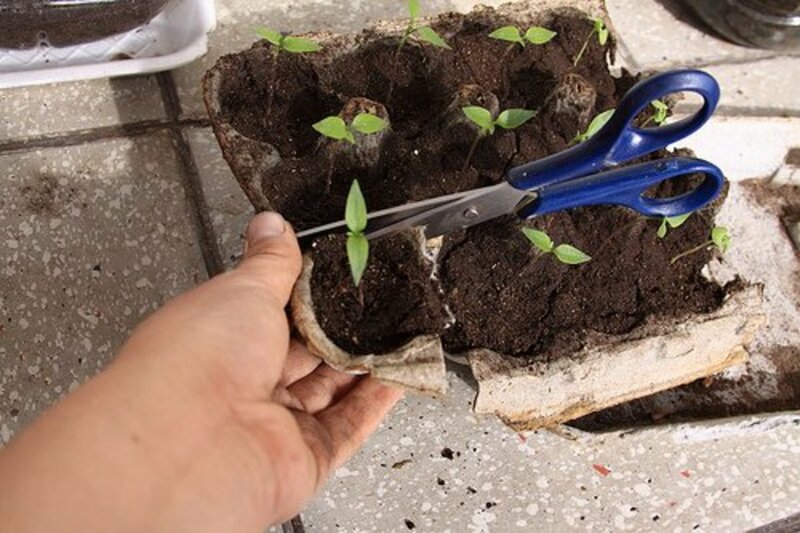 This is a great idea for reusing something, and also saving a little bit of money on this first step to starting seeds, and you offer many valuable tips. Wow, a gecko! It must have been pretty shocking to see it there. Thanks for sharing this with us. It's very useful, and I will keep it in mind. As purl3agony has also mentioned, it is a grat way to introduce children to gardening. 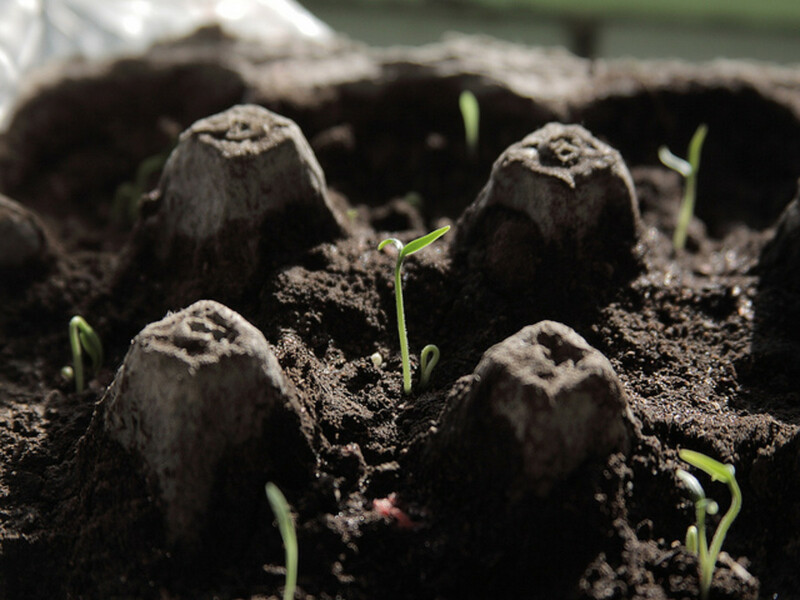 Seeds germinate really fast and they see results immediately to keep them interested. What a great hub, and just in time for Earth Day! 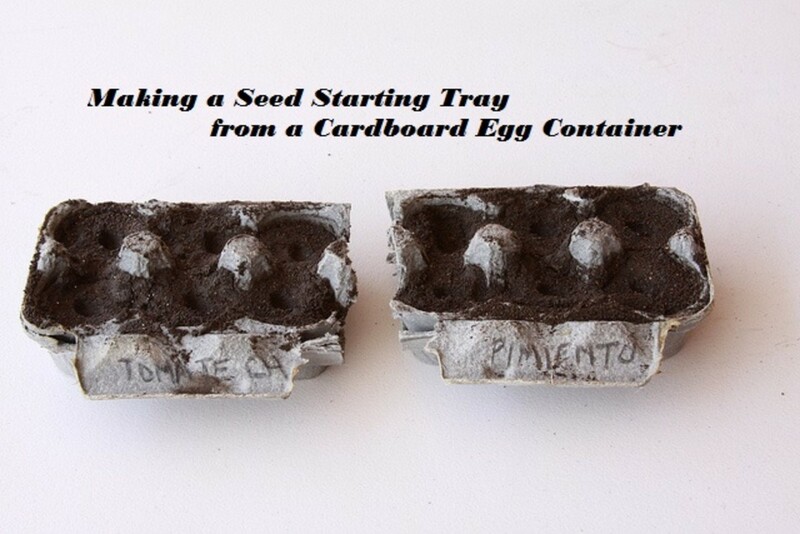 I always wondered how it would work to plant seedlings in a cardboard egg carton. I think I'm going to try this with the kids this year! This was very useful info.This will save money and enable reuse!I will definitely try this and let you know the outcome! You are very welcome! I m glad it will be useful. It's like you read my mind! I just purchased some seeds and I have been saving my cardboard egg cartons so now I know exactly what to do with them! It's not as hard as I thought it might be and now I can bookmark your Hub to reference it later if need be. Voted up! Very useful info, thanks! This is very good advice an using the egg trays one also contribute to recycling! Thanks. Great idea, and a great way to recycle egg cartons! This is such a great idea! 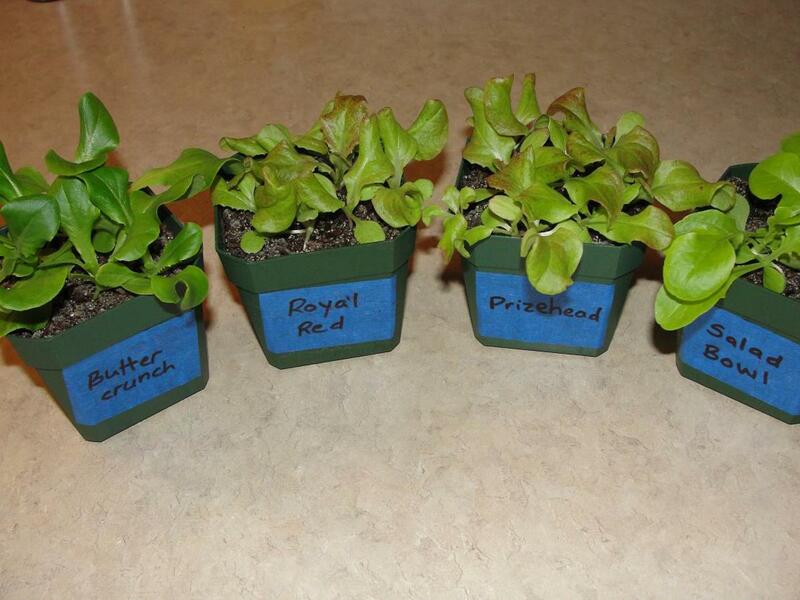 This would also be a great way to introduce children to gardening. I want to start some seeds for our garden and will start collecting egg trays now :) Thanks for this information and congrats on you HOTD!! Well deserved! I'm of the same idea. Our planet needs to regrow its lost vegetation. That's why I started gardening, to try to contribute. This is a great hub! And very timely indeed because our planet needs to regrow its lost vegetation. I always dreamed of having my own garden. So, this will be practically very useful someday.